Will there ever be a 10,000-passenger ship? David Dingle appears to think so. But he added that such large ships ‘will probably visit fewer ports or not necessarily the landmark ports,’ according to a report by Pippa Jacks of Travel Trade Gazette. Cruising would become ‘almost a purely onboard experience for a week or so,’ Dingle claimed, adding that it was ‘highly unlikely we will see small or medium-size ships built again’. 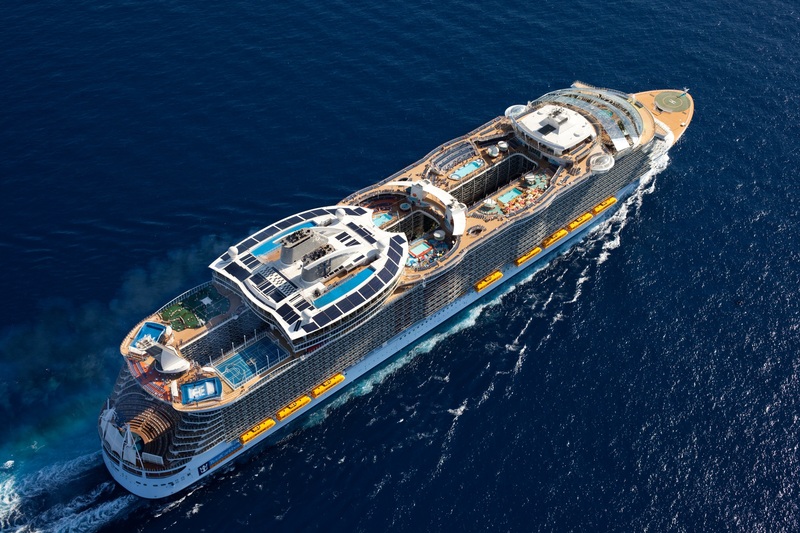 The world’s current biggest cruise ships, Royal Caribbean’s Oasis and Allure of the Seas, carry 6,300 passengers, measure 225,000 tonnes and are 361m long. So, at a rough guesstimate, a 10,000-passenger vessel would be 350,000 tonnes and more than 500m long. Because of their size, Oasis and Allure already operate at only a few ports in the Caribbean – and even there many docks had to be built or extended. How many ports could even handle 10,000 passengers embarking from one ship? So it seems the vessel becomes the destination, a floating theme park come giant hotel. When I was aboard Oasis on its maiden voyage I wondered why anyone would want to get off. It might as well have been moored off Miami as far as most of the passengers cared. Is an even bigger ship – effectively an off-shore fun resort or fantasy island – really the future of cruising? There is room in the current market for everything from river boats to giants like the recently launched Norwegian Breakaway. But the thought of a ship that doesn’t need to go anywhere, and loses all connection with the romance of travelling and the majesty of the sea, makes me shudder. Perhaps David was just pulling our Dingle. I certainly hope so. This entry was posted in Opinion and tagged Carnival, David Dingle, mega ships. Bookmark the permalink.